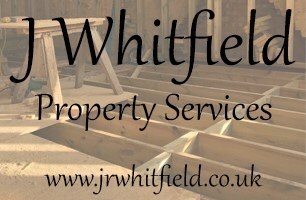 J Whitfield Property Services - Builder, Plasterer based in Bromley, Kent. J Whitfield Property Services - Plastering specialist and general building company based in Bromley, Kent and was established in 2003. We understand the difficulty people face when choosing a business and are empathetic in our approach to this. We are renowned and proud of our reputation in terms of honesty, reliability, loyalty and friendliness. Along with great workmanship this is why our customers use our services time and time again. We provide professional quality workmanship to the private/domestic property sector and also provide a general building service. We have become an established, trusted and respected business within Kent and neighbouring areas. Please visit our website for more information and also view our gallery above. Kent, Pettswood, Bromley, Chislehurst, Orpington, Beckenham, Bickley, New Eltham, Sidcup, Knockholt, Halstead, Sevenoaks, Otford, West Wickham, Hayes, Westerham, Chelsfield, Limpsfield.